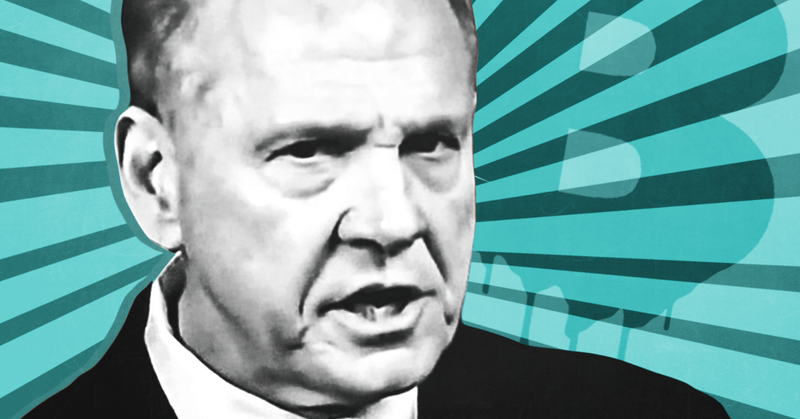 On CNN, Roy Moore spokesperson admits Moore "probably" still believes that "homosexual conduct should be illegal"
In the last week leading up to today's special Senate election in Alabama, Republican candidate Roy Moore has avoided most media, granting interviews instead to friendly outlets including Breitbart and One America News Network. On the night before the election, Moore did one of these interviews with Breitbart.com chief Stephen Bannon at a rally where Bannon was campaigning for him. Moore has largely avoided the media since early November, when reports surfaced that Moore engaged in numerous inappropriate encounters with teenage girls when he was in his 30s. 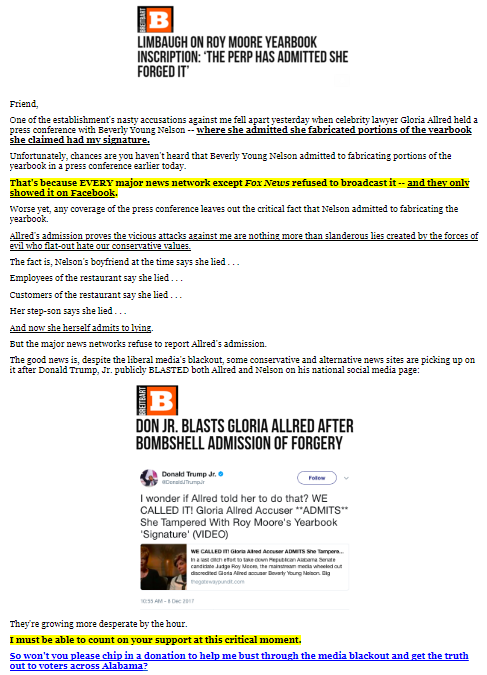 Since those reports, pro-Trump media have generously supported Moore in an attempt to drag him across the finish line, helping him in his efforts to attack his accusers. 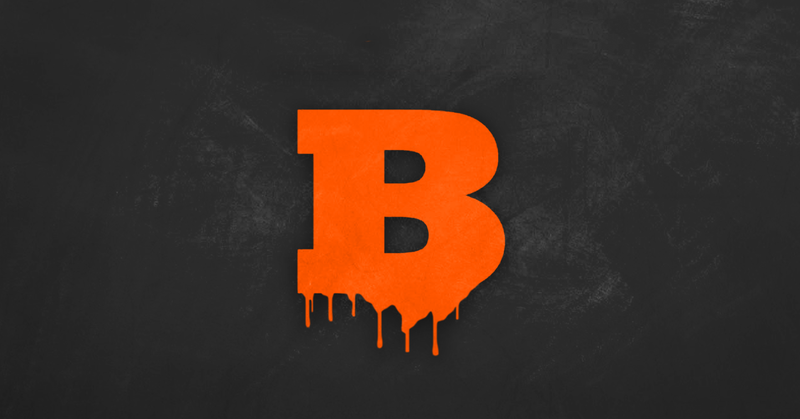 Breitbart.com has led the pack, with Bannon campaigning extensively for Moore and the site going all in soon after the first reports of inappropriate contact with teenagers surfaced. Breitbart’s senior editor Joel Pollak has argued that Moore’s reported sexual relationships with teenagers were “perfectly legitimate.” And Breitbart has even rented out its email list to the Moore campaign, which sent fundraising emails to Breitbart’s subscribers on at least four occasions. 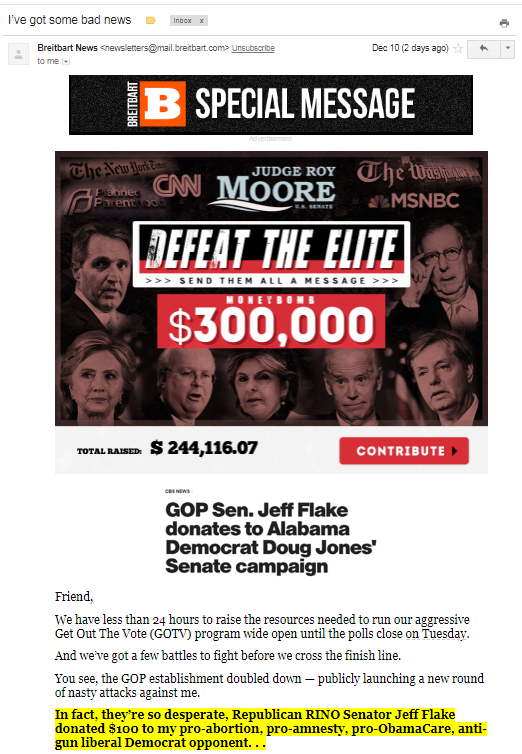 Roy Moore’s Senate campaign has heavily relied on Breitbart.com for support in its email fundraising. 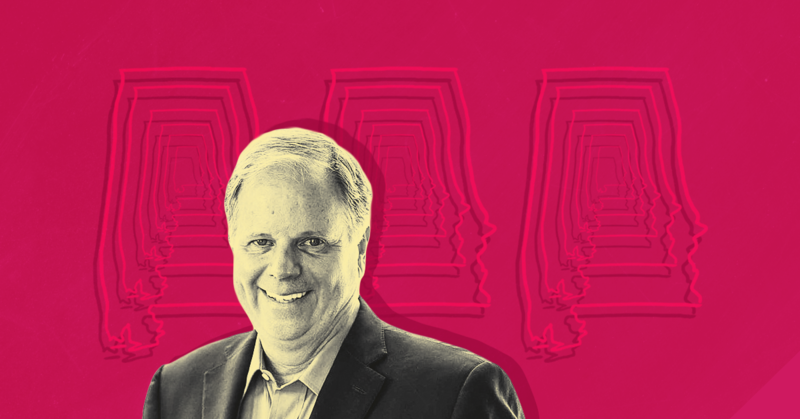 The Alabama Republican has used Breitbart’s logo and headlines in at least a dozen emails in the past several months and has rented Breitbart’s email list in at least four instances. 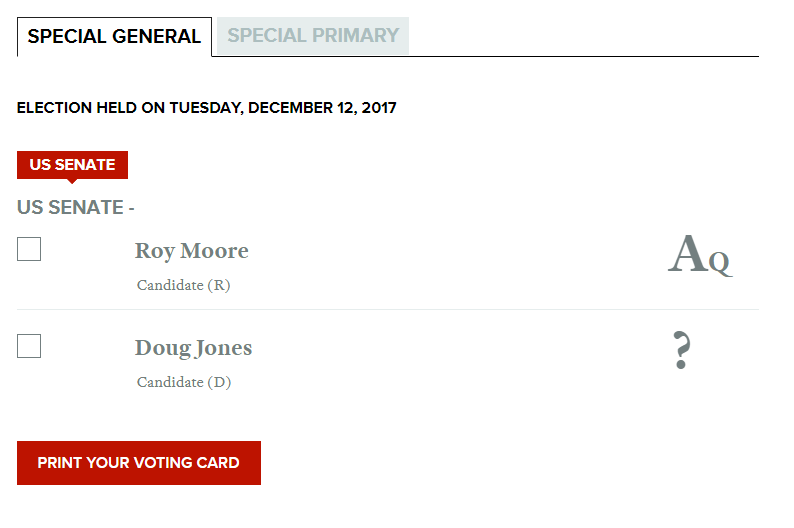 Breitbart.com has allied with Moore’s campaign in the lead-up to today’s special election in Alabama. 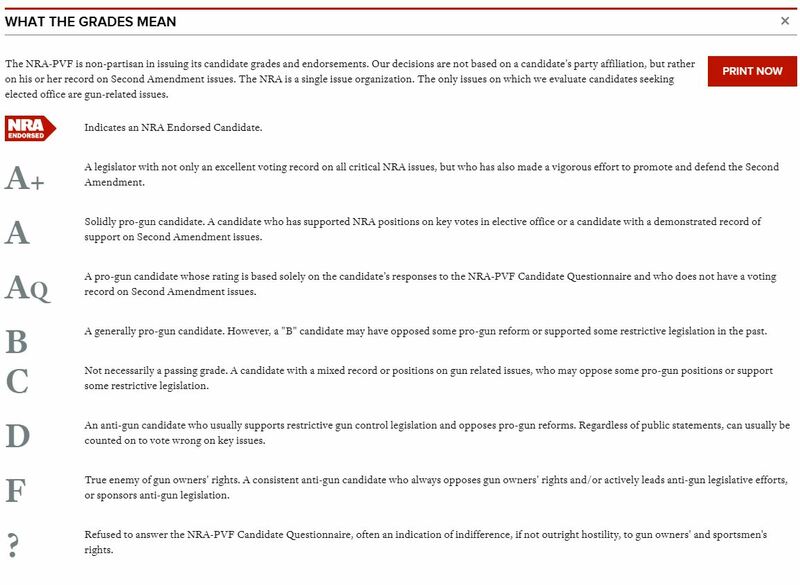 The site has fear mongered about felons who are allowed to legally vote and progressive philanthropist (and prior Media Matters donor) George Soros. The site has also repeatedly defended Moore against numerous reports about his sexual misconduct, including assault. Media Matters previously documented that the Moore campaign recently sent a fundraising email that relied on Breitbart’s false claims that a woman who said the Alabama Republican sexually assaulted her had admitted she forged her evidence. On the eve of Alabama's special election, CNN and MSNBC repeatedly aired President Donald Trump's robocall in support of reported child molester and Republican Senate candidate Roy Moore. On December 11, the day before the special election, CNN and MSNBC repeatedly aired audio of Trump’s robocall throughout the day, occasionally also airing portions of Trump’s pro-Moore rally as well. Overall, throughout the course of the day, CNN aired portions of Trump’s pro-Moore, anti-Jones robocall nine times. MSNBC aired portions of the robocall seven times, and Fox News aired portions of the robocall twice. 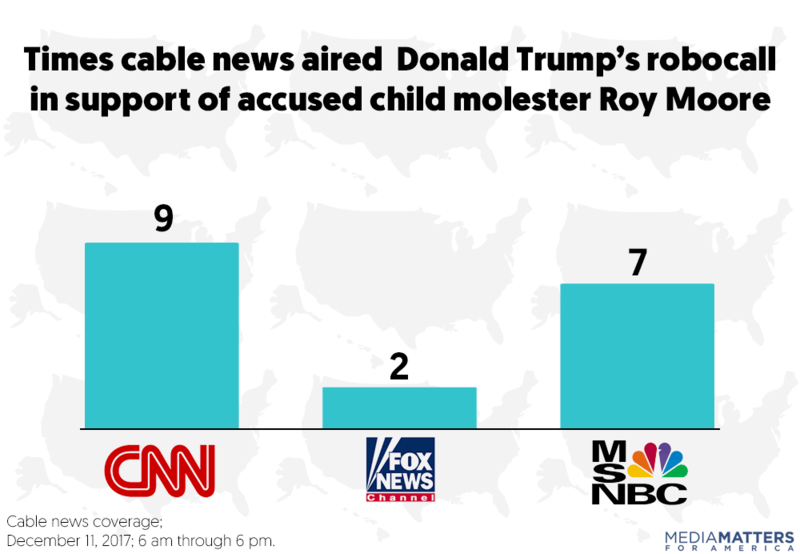 While MSNBC and CNN often presented the ad in the context of noting that the president is throwing his support behind a reported sexual predator, the networks nonetheless repeatedly broadcast Trump's closing pitch to Alabama voters to their viewers. 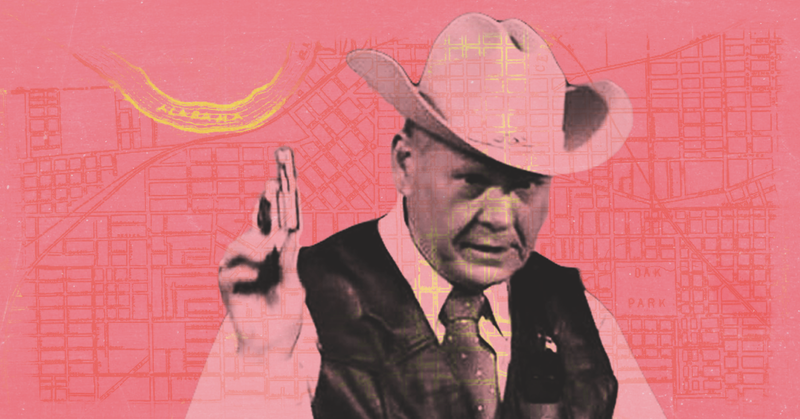 In effect, they were giving a wider audience to a major political ad for Moore. 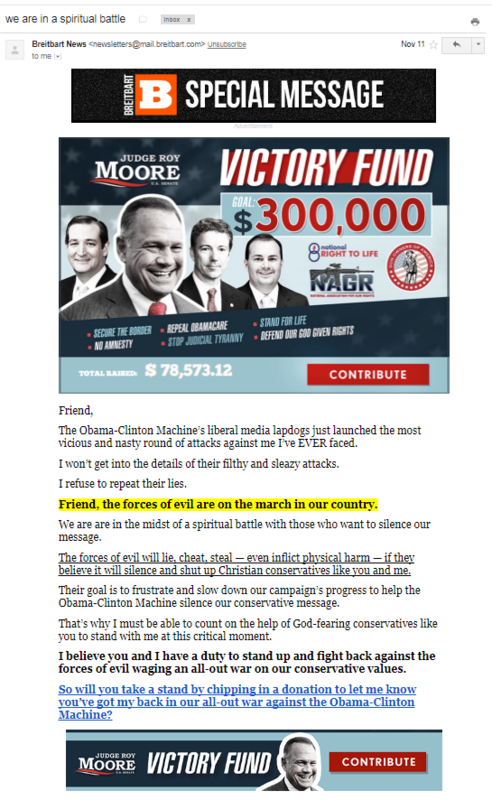 Senate candidate Roy Moore sent a fundraising email that relied on Breitbart.com’s false claims that a woman who said the Alabama Republican sexually assaulted her had admitted she forged her evidence. Beverly Young Nelson has said that Moore sexually assaulted her when he was in his 30s and she was 16. 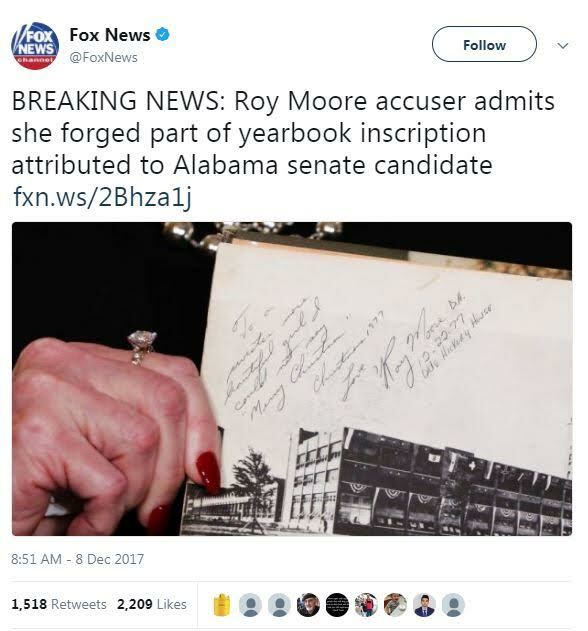 As evidence, Nelson has shown a yearbook which she said contains Moore’s signature and a message from him. Nelson recently said that she added some notes following the inscription and his signature. 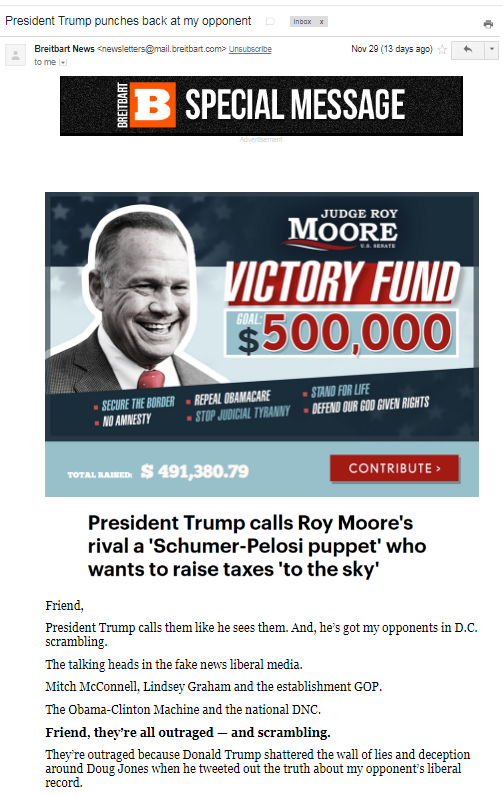 Moore’s campaign has used the right-wing media disinformation about Nelson’s statement to raise campaign funds. The pro-Moore Club for Conservatives PAC also used Breitbart to fundraise in a paid email through Breitbart’s mailing list. 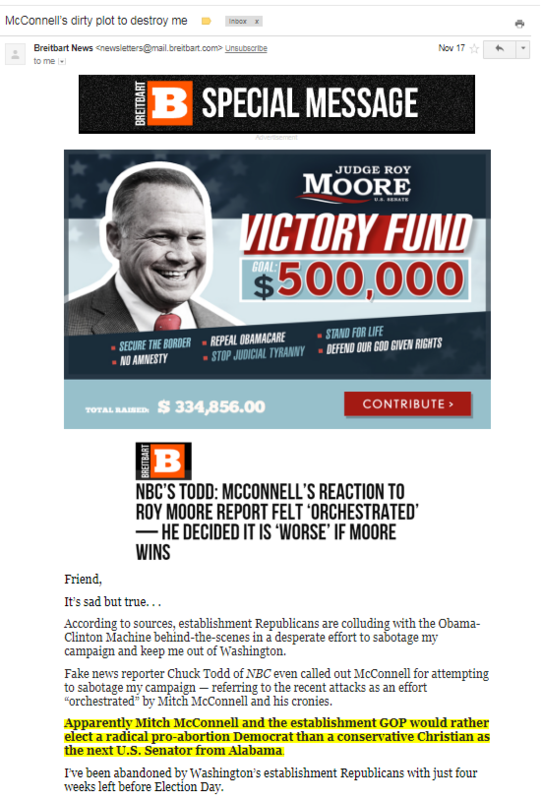 The PAC, which has a mysterious background, sent a December 9 email with the false Breitbart headline: “Bombshell: Roy Moore Accuser Beverly Nelson Admits She Forged Yearbook.” That fundraising email also contains a picture of Steve Bannon with Moore.